Gary is a Sydney based industrial designer and product innovator renowned for elevating everyday projects to benchmark level with his essentially human approach to product design. At the heart of his studio work is a profound commitment to addressing human needs through innovative, commercial design solutions. This approach is layered with a dedication to artistic thinking and a respect for the latent potential of materials and process. His creativity and technical versatility allow him to work with a freedom of expression reserved for only the most experienced product designers. He achieves this through a process of collaborative rational inquiry, undertaken with his clients in a spirit of curiosity and innovation. As an external industrial designer to international brands or, as an independent thinker with a growing collection of his own personal patents, Gary embodies the rarest blend of creative courage and commercial ambition. Having graduated from Design College in Johannesburg in 1986, Gary shaped his early career through in-house residencies with leading consumer brands before moving to Sydney in 1994, opening his own studio in the same year. A fellow of the Design Institute of Australia, Gary’s reputation has since grown with contributions to the commercial collections of Colgate, Woolworths, Juno Childsafe, Coles, Digiflex, Aldi, and Amatek—to name but a few. 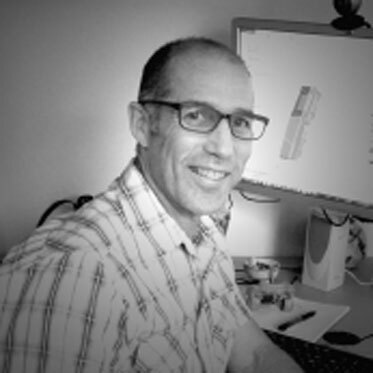 Gary’s depth and experience find him sought after as a consultant, design curator, part-time lecturer and as a regular commentator on good product design.